For any DJ and wanna-be producer, "hustle" can be an oft-overstated attribute and yet, for the right person, it's an underappreciated compliment from those in the know. Hustle is the absolute definition of both the man and the meteoric career of international DJ Roger Sanchez. From a humble beginning in NYC to multi-year residencies in Ibiza; from digging in dusty crates to headlining festival main-stages around the world, Roger is truly a self-made man and and dance music star. 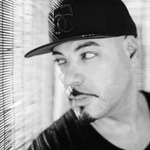 Roger Sanchez started in the late 80s in Corona, Queens, where as a young man he was enticed by the early roots of hip-hop sprouting all over New York. Attending parties by the Bronx River and other jams as a break-dancer and graffiti artist, Sanchez was introduced to DJ'ing through friends, trying his hand in an organic environment where his creativity behind the decks flourished from a few singles into an ambitious catalogue of over two thousand original productions and remixes. Anyone who's DJ'd knows that you have to put in work both to sharpen your skills, and to find those unique cuts that no one else has. Early on, Roger became a dedicated crate digger, searching for obscure samples and break beats in influential NYC record stores like Rock & Soul and Vinylmania. Formerly a talented student of the arts who attended the Pratt Institute's School of Architecture, music culture grew to encompass Roger's life as he began to sell his own mixtapes on the sidewalks of Broadway in order to finance his earliest gigs. With encouragement from his father, an engineer, Roger put his thoughts about a career in architecture on hold and launched himself into music full-time. His first 12-inch, 'Dreamworld', came out on the Outer Limits imprint in 1990 under the name Egotrip. It was around this time, that Sanchez began to take producing seriously as a compliment to his DJ'ing. He soon released 'Luv Dancin' for Gladys Pizarro on the iconic Strictly Rhythm records under the name Underground Solution, which led to his first tour. Roger hasn't stopped grinding since, using his decades of experience to build enticing remixes for a wide range of artists such as Michael Jackson, The Police, Diana Ross, Jamiroquai, Maroon 5 and even the So-Cal punk-pop outfit, No Doubt, for which he won a Grammy in 2003 for Best Remixed Recording with the song 'Hella Good'. In addition to his tireless touring, broadcasting and producing schedule, Roger has held prominent residencies on the island of Ibiza since the year 2000 at some of the biggest superclubs on "The White Isle," including Pacha, Space and Amnesia. With a true international appeal, real fans look to house music leaders like Sanchez to keep music's honesty at the forefront of their vision. Furthermore, he has carefully assembled celebrated compilation albums under the Release Yourself title every year since 2002, showcasing his own work alongside tunes from both established and new talents. Not content to be a one-man show, his influence also extends to helping release the music of new artists on his labels and through his own personally built production studios. Along the way, Roger has captained a slew of releases on Strictly Rhythm, One Records, and Defected, to name just a few. Besides these releases, he has founded several labels of his own, namely Narcotic, R-Senal and Stealth. His newest label, UNDR THE RADR, has Sanchez poised to push himself ahead of the pack again with the revival of the S-Man name. As Roger tells it, "the S-Man was my alter ego for when I wanted to do stuff that was just dark, dirty, straight dance floor with no regard for radio or anything like that. Just the raw expression of what I feel works for me on the dance floor. I really get the chance to open up and try different sounds." "I think the S-Man brings back a lot of what I learned in the early years of my production… the really straight back-to-the-club roots of it. It's taking on the elements of deepness, making it dirty again, adding elements of hip-hop, and just bringing it all to bear."